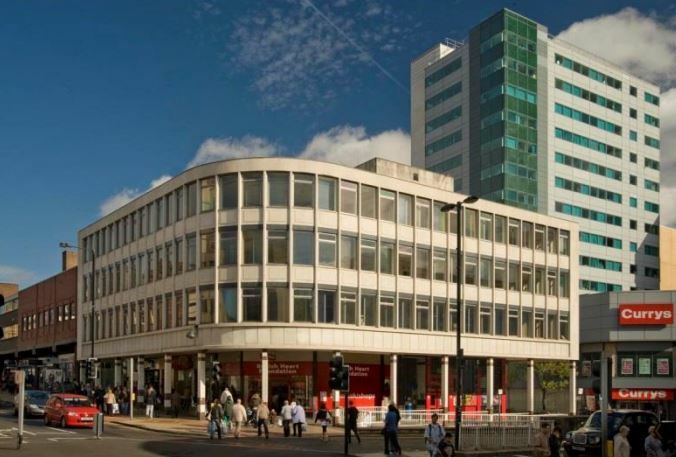 This is a refurbished building including new ground floor reception and redecorated office accommodation, that is centrally located with prominence on to the corner of Pinstone Street and Furnival Gate. This building is also DDA compliant. 1st Floor, Suite 1- 525 sq ft.
1st Floor, Suites 2 & 3- 1,107 sq ft.
2nd Floor, Suite 1- 800 sq ft.
2nd Floor, Suite 3- 1,111 sq ft.
2nd Floor, Suite 4- 1,103 sq ft.
MidCity House is situated on the corner of Pinstone Street and Furnival Gate and provides an excellent prominent location in the heart of Sheffield city centre. The surrounding public transportation links are excellent, with a number of buses passing immediately outside the building. In addition, all the amenities of the city centre are in easy reach. Rents based on a 3 year lease from £5.00 per sq-ft.